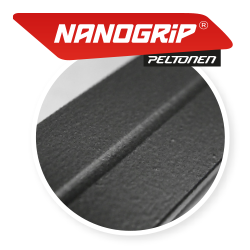 Nanogrip® is a revolutionary waxfree system offered excusively by Peltonen. 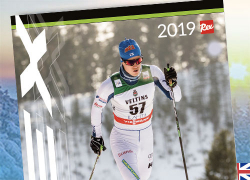 Peltonen offers Nanogrip® skis for active and recreational skiers. Works in all conditions, especially when wet / icy. Nanogrip® is a patented innovation utilizing the latest nanotechnology. Skis are carefree, only cleaning needed. No kick wax, no glide wax – just enjoy. Already a huge success, the Nanogrip® Facile has attracted a crowd of skiers with its affordable price and great waxfree performance. Just grab your skis and go! Available with or without NIS plate. Easy-going Tiger for waxfree action! A premium junior ski with attracting graphics, woodcap construction, sintered base and Nanogrip coating for fun, waxfree performance. Available also with Rottefella Start bindings pre-installed. Select a bit softer ski than your normal classic ski. The grip is optimal right from the start. The ski optimizes its glide permanently when you ski for the first time. This only takes a few kilometers. While using the skis, the color alters from grey to black, which doesn’t affect neither grip nor glide. With new falling snow at temperatures close to zero use always Rex Anti Ice to avoid snow getting stuck on the base.